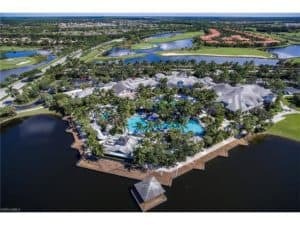 Fiddlers Creek homes for sale are treasure located just only miles off of beautiful Marco Island and conveniently located to access the amenities of both Naples and Marco Island. Located within the community, you’ll find over 700 preserves giving way to some of Florida’s natural beauty. It’s not uncommon to see Florida’s beautiful wildlife while cruising through the vast community. Fiddler’s is also home to a 52,000 square foot clubhouse. Residents have the option of joining the golf course. Register with us today to unlock advanced search settings. Save your favorite Fiddlers Creek homes for sale and be notified when homes that meet your search criteria become available. If you are looking for a new place to settle in, you cannot go wrong with the scenic beauty of Fiddler’s Creek in Naples. This award-winning community will provide you with everything that you could need to live a life of luxury. The demand for a home in Fiddler’s Creek has been rising over the past few years, and you can be a part of this community too. 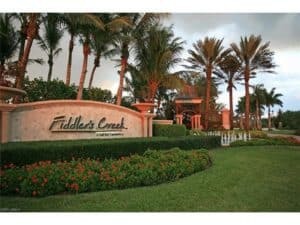 Fiddler’s Creek is a master-planned community in Naples that offers residents a luxury resort-style lifestyle. This neighborhood offers a mixture of low-rise condos, single-family homes and luxury residences. Most of these properties exude Floridian and Mediterranean architectural styles and you’ll find a number of convenient and spacious floorplans. Additionally, the interiors are absolutely spectacular. From marble flooring to state-of-the-art kitchens, it’s easy to see that no detail has been overlooked. Fiddler’s Creek has seen the development of multiple residences and resort-style amenities based on a master plan. If you want tropical vibes to be a part of your life, then this is the place to be. If you want to be close to a lagoon-style pool for all those holidays, then you will find that Fiddler’s Creek does not disappoint. Make your choice among hundreds of available options. Homes for sale in Fiddlers Creek are elegant, spacious and impeccably crafted. Whether you’re searching for a new custom home or a property that has already been built, you’ll have a nice selection to choose from in this community. First-time homebuyers will appreciate the affordable, yet beautiful, community of Whisper Trace. Or if you’re searching for a move-up home, you might consider real estate in Mussorie. And luxury homebuyers will fall in love with residences in Isla del Sol. Fiddler’s Creek was developed on Collier Blvd. which is located to the north of Marco Island. The Gulf Bay Company took the initiative and began constructing this massive 3900-acre property in the year, 1998. Currently, the community is divided into 28 villages, all of which offer a variety of residences. Fiddler’s Creek’s environment makes it a buyer’s delight. Not only will you be able to enjoy the luxury of the setting, but you will be able to do so knowing that you are not disrupting the environment. The primary attractions of the Fiddler’s Creek include the famous 18-hole Hurzdan/Fry golf course and the multiple pools. If you are a fan of golf, then you will be happy to know that another championship course will also become open to the public soon. You can also visit the tennis courts for an extra spurt of activity during the day. The 54000 sq. Ft. clubhouse is impressive with its assortment of spas and restaurants. Since Fiddler’s Creek is a planned residential community, all the constructions exude a sense of elegance and grace. No matter which property you choose to live in, you will always feel that you are getting value for your money. If you live here, then there is no stopping you from having an active social calendar throughout the year. Living in this premier Naples community is like being on vacation all year long. Fiddlers Creek boasts a casual and refined atmosphere and many homebuyers choose to live here for the golf facilities. Voted as one of the top 100 best residential golf courses for the past 11 years, Fiddler’s Creek provides a premier golf experience. 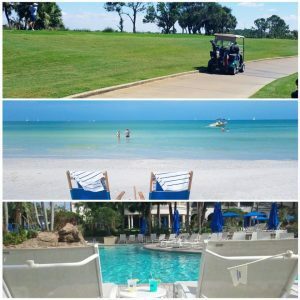 Joining the golf club in Fiddler’s Creek is one of the best decisions you will ever take during your stay here. Whether you are a homeowner or a non-resident, you must join The Golf Club in order to access the huge 18-hole Arthur Hills championship course that is bound to give you some memorable times. 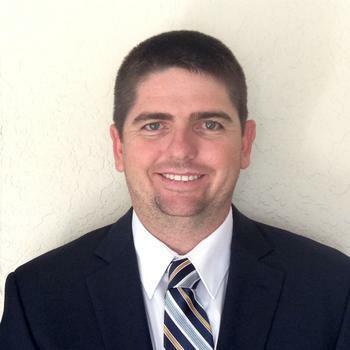 There is a reason why it has found a place in the GolfWeek’s “Top 100 Best Residential Golf Course Communities” without fail for twelve consecutive years. Living at Fiddler’s Creek does not mean that you have to stay away from the beauty of Nature. The community is bordered by state-owned conservation lands on all sides so that you feel like you are in the lap of nature. The serene lakes and wetland preserve complete the experience. You will also find a winding creek and an estuary here. The tree-lined streets will keep the environment green and fresh. In combination with the abundant landscaping, they make for the perfect countryside experience in a modern setting. Once you become a true member of the community, you will not feel like leaving Fiddler’s Creek because of the innumerable amenities that it offers all year round. It snagged the first prize for “Best Community” in the 2012 Southwest Florida Readers’ Choice Award. Moreover, it became the CBIA Sand Dollar “Community of the Year” for two consecutive years. Has a Fiddlers Creek home for sale caught your eye? Contact us today to schedule a viewing! 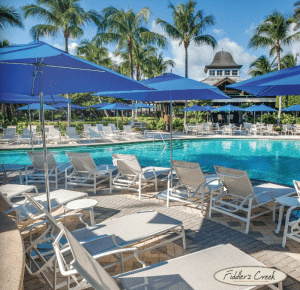 Where Is Fiddler’s Creek In Naples FL? It is located approximately 9 miles away from the main dining and shopping areas in Naples. It also leads to the northern end of Marco Island where you can have a great time. If you want to reach Fiddler’s Creek from the Fort Myers International Airport, then you will have to travel for approximately 38 miles.